Want to double up your closet space without spending a lot of money? It’s easy and doesn’t require a big makeover. 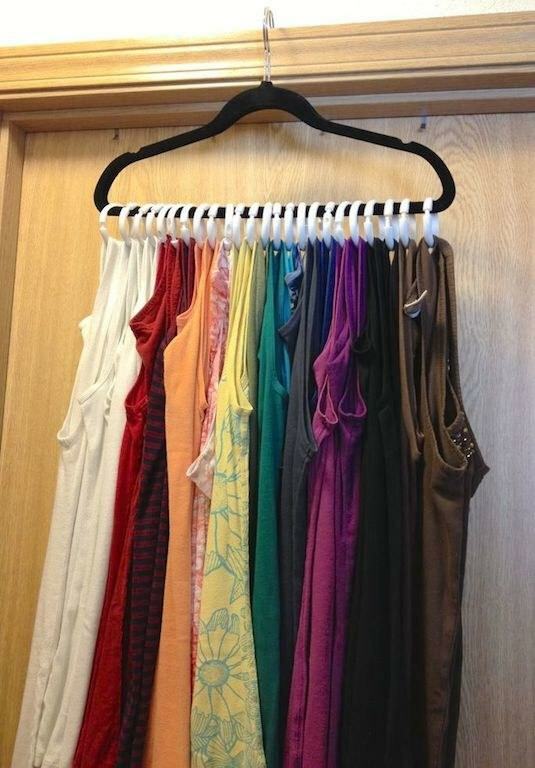 Just apply some of these smart CLOSET hacks and organize your life. 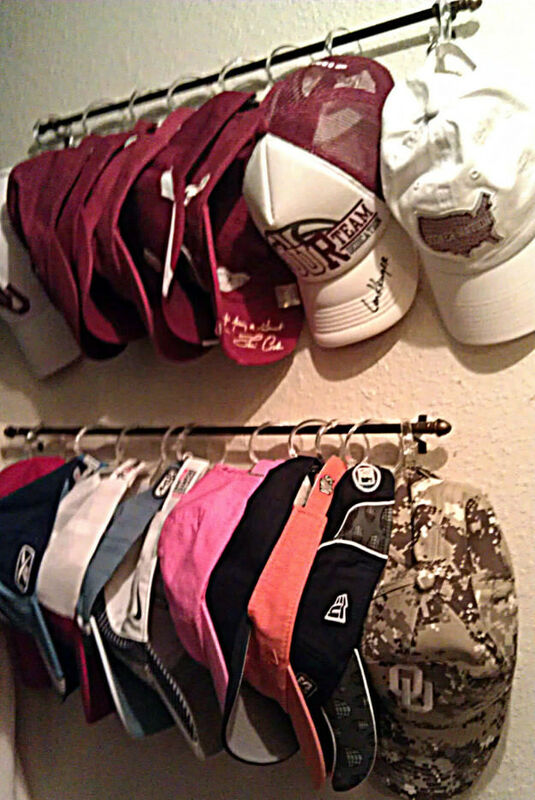 If you’re anything like me, you own an abundance of tanks that are usually clogging up your dresser. Since tank tops aren’t ~precious~ enough for each one to deserve their own hanger, loop them into shower curtain rings and hang a bunch of them at once.